It all started on July 25th 2012 where “Beirut Trance Sessions” was born. With a massive start featuring guest sets from Lebanon’s very own locals, Beirut Trance Sessions reached 50 episodes on December 14th with #BTS50 trending as #1 in Lebanon for more than 24 hours. Beirut Trance Sessions passed through several obstacles but that didn’t stop us from carrying on. 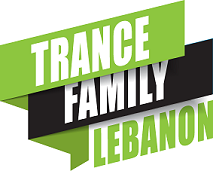 Here we are, in 2014, we can proudly say that we were able to move to show to a whole new level: Beirut Trance Sessions every Tuesday 12PM EST – 7PM Local Beirut Time on Digitally Imported Radio, Epic Trance Channel (di.fm/epictrance). The show is also broadcasted on TOA Radio every Wednesday 9PM Local Time (toa.fm/player).